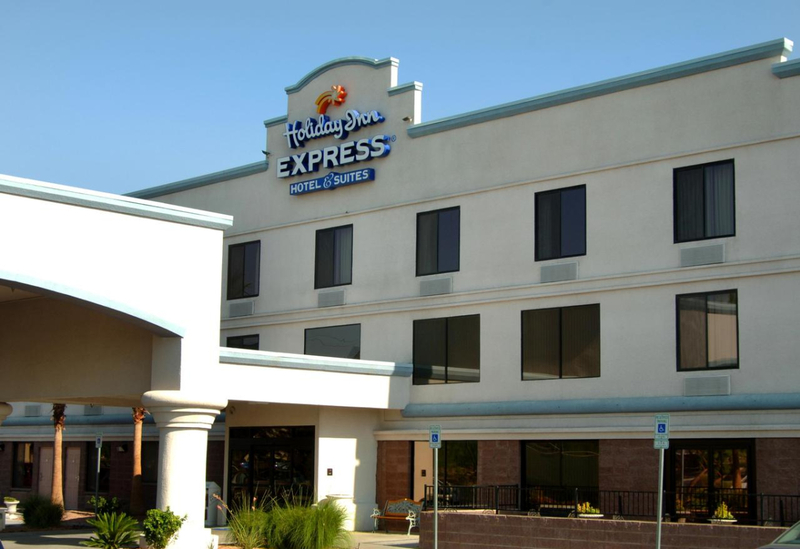 This three-story, indoor access Holiday Inn Express hotel is a convenient and amenity-filled place to stay whether you're in Las Vegas on business or for pleasure. For business travelers, with over 60 spacious rooms and 40 suites come equipped with two-line speakerphones with data ports and voice mail, an ergonomically correct workspace and free high-speed Internet access. The 40 suites have the added luxury of refrigerators, microwaves and a sitting area. Meeting facilities are also available, as well as a business center with copying and faxing services and Internet access. For those with children who've come to the Las Vegas area for pleasure - such as the Las Vegas Motor Speedway (20 miles away) or the excitement of the Las Vegas Strip or downtown (12 miles away ). All guests have access to the fitness room and outdoor swimming pool, as well as the "Express Start" complimentary breakfast bar. 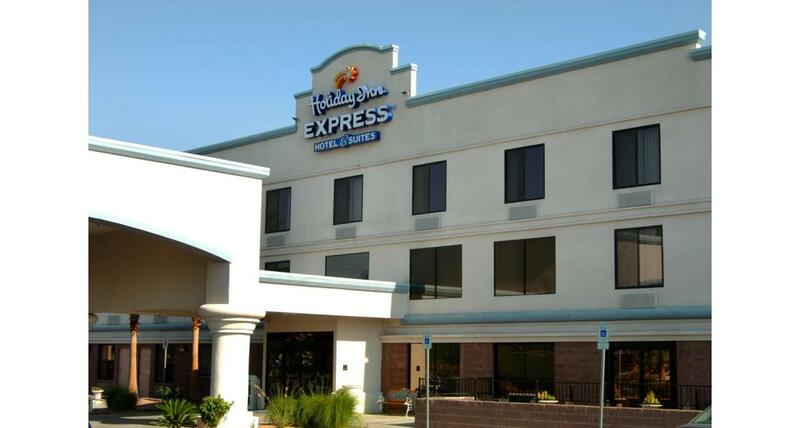 The Holiday Inn Express is only 20 minutes from McCarran International Airport. Nearby are several shopping centers and a mall, golf courses and restaurants.